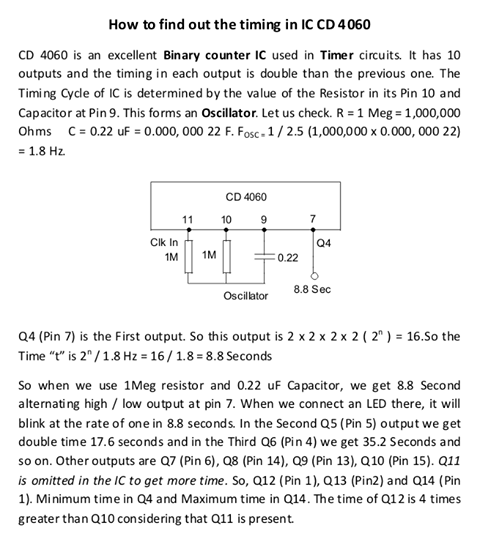 CD 4060 is the versatile Binary counter IC that can be used in Timer applications.When a resistor is connected to its pin 10 and a capacitor in its pin 9, it forms an oscillator that gives pulses to its pin 11.According to the timing cycle, each output goes high one by one. Output gives around 10 mA current and a voltage near to the supply voltage. 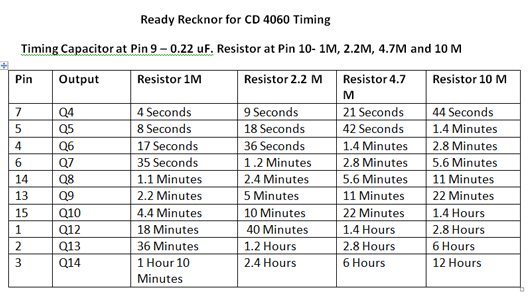 Timer oscillates only when its Reset pin 12 is grounded.